2. play some the following youtube clip, which shows the societal changes occurring in the 1920s. 3. Play the 1920s Slang game. A. Get into teams of four - name yourselves a historical name. C. Mr. Fitton will provide a word and then they have to invent the definition. D. Mr. Fitton put the words below on the board and then had students write down definitions for three of their choosing. E. Assigned points for anything close to correct. Gutt Waddin’: Any type of cheap fast food – to fill you up and take hunger away. Drugstore Cowboy: A guy who hangs out on a street corner trying to pick up women. 4. As a class, we also discussed modern slang. Students placed examples on the board. Then, we had a class discussion on the cultural relevance of slang and its importance. For instance, slang separates old and new generations. The terms themselves help define what type of people a generation consists of. Explain to them that they are just like the people in the 20s with their own slang. 5. Learn the Charleston. Students will learn a popular dance from the era as part of our continued focus on actually engaging in the culture of the time period. We may also learn "The Shimmy" a dance that was so provocative that it was banned. 6. We will learn about the Shimmy - a dance so naughty it was banned. We will tie this into our conversation about Slang. We may also choose to dance the shimmy. Though it may result in every one being arrested by the 1920s Fun Police. Lesson 2-3: - Volstead Act, Prohibition, A Review of the Entire 1920s, Unit Project and Causes of the Depression - which all start in the 1920s! 1. Play part of the film Untouchables. Preview to the left. It is a great film and Mr. Fitton recommends it to those interested in the prohibition era, the emergence of gangsters and the life of Al Capone. Mr. Fitton showed portions of the DVD of the Film "The Untouchables"
11:23-16 mins and 47:39-60.53 mins. Shows end of 1920s and Early 30s. Students should notice attire and references to historical terms. A clip showing canada's involvement is below "Untouchables Bridge Scene. -Canadian Connection and discusses prohibition in the states. -Get students to pay attention to the costumes etc in the video; look at the styles. 2. Crash Course in History - 1920s. Watched the video as a class. Students had to write down 5 facts from the video in detail. This is practice for our Parody Assignment where students will have to write down much of their research in the form of notes from a video and notes from the textbook. 3. Causes of the depression Web! – Put on board the main causes of the depression in USA. -Provide explanation. (Students can pre-read Demarco, Page 113-114). Review business cycle and key economic vocabulary (Boom, Bust, Stocks, Bear, Bull, etc) - See what kids know. 4. Mr. Fitton will introduce students to the parody project so they know what they need to be thinking about while they watch "Breadline" and "The Dictators". We will start by watching two youtube videos to help students know what they will be parodying in their video project. Students will Parody "Stuff Girls Say" or "The Most Interesting Man in the World." 5. People Century – Breadline – Show the film - students may choose to take notes for the final unit project (see Parody project below). http://www.youtube.com/watch?v=zq9yh0Pc6N4 (see below) *36 minutes total. 44:55- End --- no need to show. Lesson 4-5 - Key Unit Vocabulary, Presidents, Isolationism, Internationalism, Causes of the Depression, Cultural History and Alphabet Agencies. http://www.youtube.com/watch?v=dxPVyieptwA Ben stein is teaching about the Smoot-Hawley Tariff, which we will learn about as well. However, I hope my way is a bit more enjoyable. 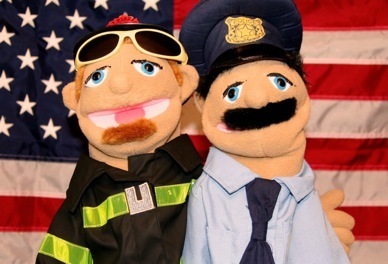 -Students have to go on a scavenger hunt, with Policeman Perry, a Sock Puppet. Students will solve clues with QR codes in order to get the notes for the Terms to Know Activity. -Students will need to get into groups with an ipad or a smart phone with a QR code scanner. Students should download a free one the day prior. -Rules – every student must take the notes. When come back, I will check off. -In class, groups take notes and scan a QR code when done. QR code leads them to the next set of notes. -Finish all vocab and return. For students who were away, the two handouts are right here. The handout that says "1920s Vocab" is the answer Key." 2. Unit Matrix. Mr. Fitton has drawn a picture of the entire unit on one sheet of paper. We will use this as a study tool. Also, in university you will need to develop ways of remembering things. If you are a visual learner, taking the entire unit and placing it on one large piece of paper can assist in your studying. -Fill in as well with information from the breadline video (above) and the crash course videos. The Three Messiah's from the Unit Matrix - Huey Long, Charles Coughlin and Francis Townsend - who disliked the New Deal and railed against it. 3. ROOSEVELT and New Deal Handout (chapter work). Handout available below. The quiz will be on this booklet, videos we've watched and the unit matrix. 5. Review Game: Get students to read over their notes from the Scavenger hunt and then play a game. I have provided you with a handout with a bunch of key terms. Students are to all come up and and you stick a term on their back. They are not allowed to know what the term is. They walk around, and have to ask “yes or no” questions to other students to try to determine what/who they are. If they guess it, they have to also know the definition. When done, they can come up and get another term. 6. Parody Assignment handout. Go over the Parody assignment. Students need to choose a leader and complete an assignment about them. (SEE FILE BELOW) HOWEVER, a more detailed lesson plan of this activity is in the next tab Under "Hitler and Mussolini" please see page numbers etc in that area to help you. PLEASE NOTE - THE BELOW PART OF THE LESSON IS ACTUALLY THE START OF THE NEXT UNIT. SEE NEXT UNIT IN THE NEW TAB ABOVE. 7. “The Dictators” 20th Century. Watch a film on Hitler and Mussolini. Students must take notes on both dictators. Hitler and Mussolini and their rise to power. They will use these notes and their textbooks to research and write the assignment. -Make goals; get an action plan in mind. 10. Quiz on _____________________ on the 1930s and America.